The Linguistics Research Centre of the Universidade NOVA de Lisboa (CLUNL) is a Research Unit that has as its main objectives the advancement of research in Theoretical and Applied Linguistics, the advanced training of researchers and the promotion of the dissemination of scientific data on those domains concerned with the nature and structure of languages and texts. This Unit is funded by Fundação para a Ciência e a Tecnologia (FCT), having obtained the qualification of Very Good in the latest evaluation exercise carried out by this governmental institution. The registration period to the Lisbon Summer School in Linguistics 2019 is open! The 6th Edition of Lisbon Summer School in Linguistics will take place on 1-5 July 2019 at School of Social Sciences and Humanities of the Universidade NOVA de Lisboa (NOVA FCSH). 12 courses are offered, 3 per area. Each course grants 6 ECTS upon the request for evaluation by the student. Doctoral students are the main target audience, but the courses are not restricted to them, and they are open to an audience who wants to stay up to date. 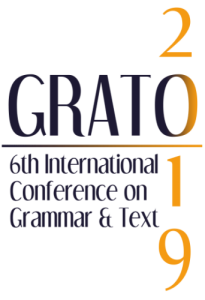 The Grammar & Text Group of Linguistics Research Centre of the Universidade NOVA de Lisboa invites to the submission of abstracts for oral presentation to the 6th International Conference on Grammar and Text - GRATO 2019 until 30th of April. 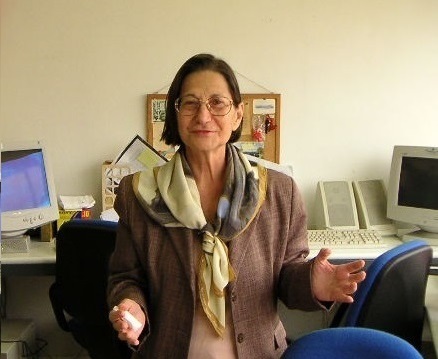 The Grammar & Text Group of CLUNL will develop a set of initiatives throughout this year as a tribute to Professor Maria Henriqueta Costa Campos.